Murals vs. Graffiti - What's The Difference? Murals are done with the permission of the property owner. Graffiti is done without permission on public or private property, and is therefore illegal. SC law states that first offenders receive a fine up to $1,000.00 and/or jail time between 30 and 90 days, and restitution to the victim. A second conviction within ten years results in a fine up to $2,500.00 and/or jail time up to 1 year. You can report graffiti by calling 843-958-1500. If you wish to apply for a permit for an outdoor mural, you can do so through the City of Charleston. 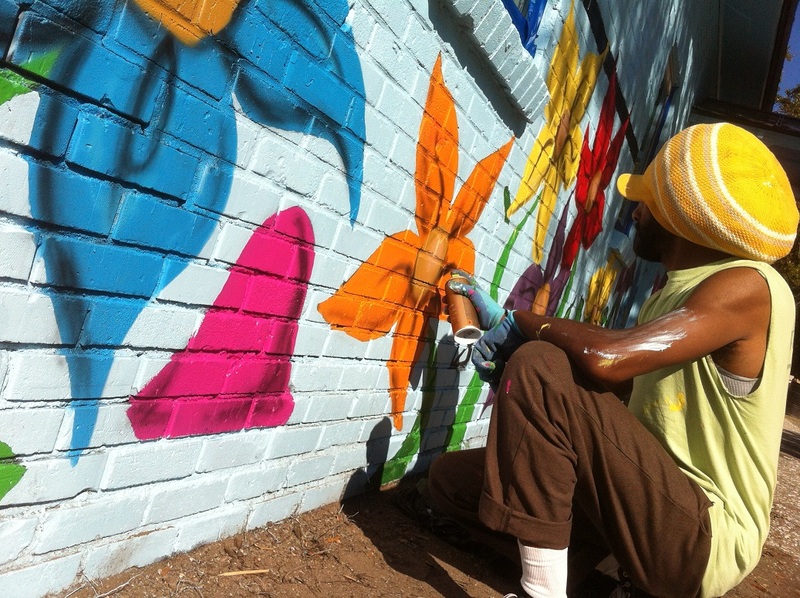 KCB is a strong supporter of community murals. Our past mural projects can be seen at Mitchell Park and Mall Park downtown. If you see vandals in action, call the non-emergency police at 577-7434 immediately. If you know someone that does graffiti, encourage them not to do it to other people's property, including public property. Encourage them to file for permits so their art will not be removed. Remove graffiti quickly and without drawing attention to it to discourage continued tagging. Plant trees or other greenery near a graffiti-plagued wall. Install lightning near tagged areas. Graffiti hurts everyone: homeowners, businesses, schools, and the community at large.